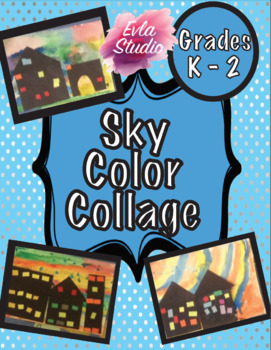 This art lesson is a fun one! 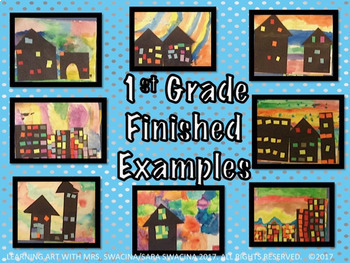 My students absolutely love the freedom of creativity with this project! 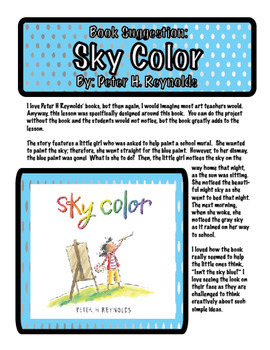 I created this project after reading Peter H. Reynolds' book Sky Color. I do use this book during this lesson, but it is not necessary and you can do the whole lesson without sharing that book with your class. 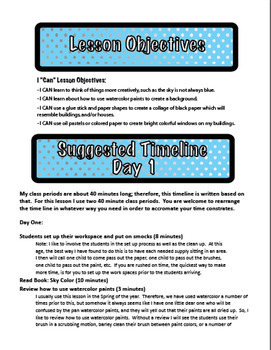 ♦ A slide show to share with your students with each step on it so they can easily follow along. Approximate suggested time frame: 2, 40 minute class periods, but you can feel free to change the lesson however you need to accommodate your time constraints. 2. Click on this "Provide Feedback" button. 3. You will then have the opportunity to leave a short comment and a quick rating. Each time you do this, TPT will give you credits. You may then use these credits to lower the cost of future purchases. Who doesn't love a great deal like that?!?! IT'S basically FREE MONEY!!! Of course, I would really love if you rated my item after downloading! Feedback is incredibly important! 1. Notification of upcoming sales! 2. Updates about when I post freebies! 3. Information about new product launches! I also plan to release a free product every time my number of followers doubles. This will be my little way of saying thank you for purchasing from me! If you follow my store, then you will be one of the first to know about these freebies.